Coming on the heels of the spectacular revenge film Blue Ruin, writer/director Jeremy Saulnier went in a slightly different direction with his new film, Green Room, about a punk rock band trying to survive a night with skinheads. The film features Anton Yelchin, Alia Shawkat and Imogen Poots as members of the band and a new acquaintance trying to stay alive against the collection of racists led by the charismatic Patrick Stewart. We interviewed Saulnier over the phone the night after a screening in Boston to discuss the film, including his casting of Stewart, his reasons for shooting in the woods, writing believable dialogue, and finding humor in tense situations. The interview has been edited for clarity and for brevity's sake. 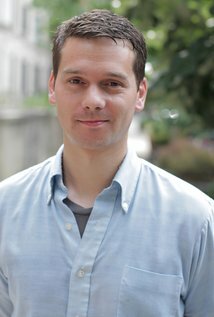 Writer/director Jeremy Saulnier. Photo from IMDB. Q: How did you play with Patrick Stewart's persona? He's best known for his role as Captain Picard on Star Trek and from his goofy adventures with Ian McKellen in public, and while there's a tonal shift, he's not that far from being Picard. Jeremy Saulnier: Of course as an audience member myself I really do appreciate his esteemed career, complexity, association with these big franchises. But it's my job as a director to have blinders on. I did not factor into me casting it; it certainly factored into how our production valued him. But I had to ignore all that. I really had a character in mind when I wrote the screenplay. I never thought I'd ever get someone like Patrick Stewart to play it, so that was amazing. But when he signed on he acclimated to this world I had built and just trying to stay insulated from everything else. So this is just (an) actor, director trying to come together for a quiet performance. ​Q: My favorite moment with him is a line toward the end about how he's not so scary in the light. He's a bogeyman for much of this film for the characters. The characters mostly hear his voice, but when they finally see him they aren't that impressed by him. Saulnier: Yeah. That was really fun. That line came to me when I was breaking down the script and realized they never actually saw him at all. So I added a little scene, added that one shot where Patrick Stewart is backing away from the door. I love all the kids see is a sliver of him backing away, not in an aggressive pose. That's one of my favorite shots in the film. It added such a great dynamic to finally confront the aggressor and how mundane he is, how stripped down and human he is. Knowing the carnage Patrick Stewart's character Darcy had put them through makes it all the more horrifying. That was the point of it, how things erupt, how miscommunication and self-preservation can lead to such terrible violence. You actually have to face each other, it's a whole different scenario. Q: There are definitely elements of horror in this film, and I think one of the ones I noticed with this film (Green Room) and Blue Ruin is that the houses in the middle nowhere are the most dangerous places. The further you get from civilization the scarier things are. On your end, is that something that you perceive from growing up away from the woods? Saulnier: I grew up in Virginia and it certainly was the suburb, but I've always been attracted to the outdoors. I'm not really scared of them; I just find them visually more interesting than a lot of urban areas. I'm fond of nature and it plays really well on camera. It just happens the movies I make I like them to be isolated environments; it serves the narrative. Living in a van touring in Oregon, they're on the coast, they're in a cornfield, they're on all sorts of different terrains. I just love the variety of the geography of Oregon. It has mountains and cornfields and coastal areas and rainforests. I think it's more about my visual attraction to those areas that guides me to set some of my films there. My first film actually is Murder Party. It's actually similar in some respects that it's an overnight, contained horror film. It's more of a comedy and it takes place in more of an urban area, in the heart of Williamsburg and Bushwick, Brooklyn. So, no matter where I am, I find ways to make it remote and scary even when you're right in the middle of New York City. Q: Something with the characters reminds me of David Lynch. A scene discussing cartridges and bullets reminds me of a moment from Mulholland Drive in which there's a weird surreal normalcy. Is that something you see how people would react in that type of situation? Saulnier: I've never actually seen that movie. But I like to write things to make them human and make them plausible and have the characters really interacting with each other and not to benefit the audience or the narrative in any sort of contrived way. I definitely like to downplay things; if there's a default for me it's extreme situations but subtle performances and grounded emotional character arcs. When you walk past people or when you're eavesdropping on people on the subway you hear the strangest things and it's fun to kind of take these little slices of life and hear observations in your every day and inject them into a movie. Often times in movies you just have so much artificiality and people don't speak like humans actually do. So it's fun to have the opportunity to design stories and create characters that really adhere to more of observable human behavior, so when you put them on screen they're more relatable. People really find it exciting to have access to real characters and it's easier for them to have characters who are behaving maybe not with a clear logic but meaningful and compulsive manner. Q: It's also kind of humorous. It's unexpectedly funny. Saulnier: I love comedy. I like to mine it naturally in the stories I'm telling and not really force it. As long as the characters aren't trying to be funny themselves and the actors aren't forcing it, there are so many opportunities for comedy. I just let them breathe naturally, once in awhile I'll highlight them. How many times has somebody gone from laughing to crying or crying to laughing? These things are often intertwined and it's about your perspective. I put my characters through hell but it's OK for the audience once in a while to find a little I guess levity here and there. Q: The one thing I noticed with this and Blue Ruin is revenge is a pretty heavy theme. At the end, they could have walked away but they opted to continue forward. Saulnier: There's some sort of indication that did they see all of them die? There's a hint that someone might be alive or there's some unfinished business. But yeah, there's like traditional revenge, but this is more survivor and loyalty; these are the actual victims of the crime. Blue Ruin is certainly more traditional revenge and Green Room is more survival. Green Room will be playing nationwide April 29.